While Pakistan's PM Imran Khan has pretty much accused India of lying about the IAF's strike on the JeM training camp across the LoC, China has called for both countries to exercise "restraint". 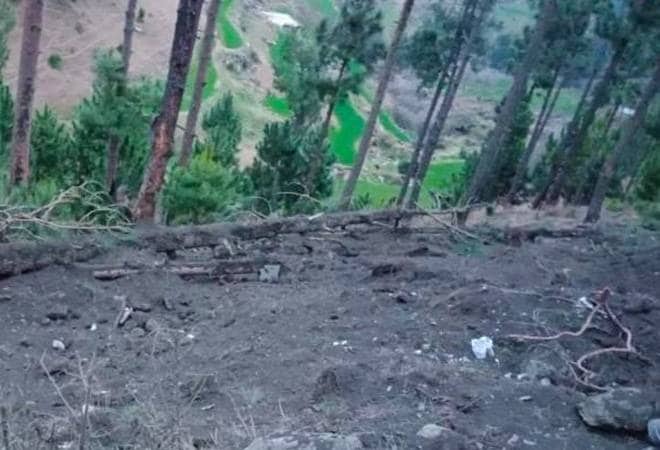 The Pakistan Army has cordoned off the entire area of Balakot and are clearing away evidence such as dead bodies so that they can deny India's claims of the latest IAF strike wiping 300 militants in the area, a source has told India Today. In the wake of the pre-dawn strike by the Indian Air Force on Jaish-e-Mohammed's biggest training camp in Balakot, across the Line of Control, Pakistan's Prime Minister Imran Khan had convened a special meeting of the National Security Committee (NSC) to review the security situation and a response to India. The ruling party, Pakistan Tehreek-e-Insaf (PTI), has taken to Twitter to report the outcome of the meeting. Also read: Did IAF kill Masood Azhar's brother-in-law Yousuf Azhar in Balakot today? "Forum strongly rejected Indian claim of targeting an alleged terrorist camp near Balakot and the claim of heavy casualties. Once again Indian government has resorted to a self serving, reckless and fictitious claim," the party tweeted on its official Twitter handle just minutes ago. The high-level meeting was reportedly attended by Ministers of Foreign Affairs, Defence and Finance along with senior military officials. "This action has been done for domestic consumption being in election environment, putting regional peace and stability at grave risk. The claimed area of strike is open for the world to see the facts on ground.For this domestic&international [sic] media is being taken to the impact site," read another tweet. Interestingly, this was an identical stand taken by Pakistan post the 2016 surgical strikes by India in order to "debunk" India's claims. According to the Pakistan Tehreek-e-Insaf party, the NSC meeting concluded that "India has committed uncalled for aggression to which Pakistan shall respond at the time and place of its choosing". That, too, is a throwback to the Uri strike. Lt Gen Ranbir Singh, then the Director General of Military Operations, had said that the Army reserves "the right to respond to any act of the adversary at the time and place of our own choosing" a day after to the Indian Army's stand a day after the JeM attack that left 18 soldiers dead and over two dozen injured. Khan in a statement released after the meeting "directed the elements of national power, including the armed forces, and the people of Pakistan to remain prepared for all eventualities". He added that Pakistan "has decided to engage with global leadership to expose irresponsible Indian policy in the region". Earlier in the day, Pakistan Armed Forces Major General Asif Ghafoor had tweeted that the IAF violated the LoC and "Under forced hasty withdrawal aircrafts released payload which had free fall in open area. No infrastructure got hit, no casualties." Meanwhile, China has appealed to India and Pakistan to "exercise restraint" and asked the Modi government to carry out its fight against terrorism through international cooperation. Chinese Foreign Ministry spokesman Lu Kang told the media in Beijing that the country has "taken note of relevant reports", PTI reported. "I want to say that India and Pakistan are both important countries in South Asia. A sound relationship and cooperation between the two serves the interests of both the countries and peace and stability in South Asia," said the spokesman. "We hope that both India and Pakistan can exercise restraint and do more to improve mutual their bilateral relations."